Notwithstanding mass opposition, the Narendra Modi led Central government on January 18 notified the new Coastal Regulation Zone (CRZ) Rules 2019 allowing construction up to 50m of the high tide line (HTL), a move that environmental experts and fisherfolk feels would open up the coastline for the industry, real estate and tourism rather than protecting the coast. In fact, it is termed as a disaster for Goa’s small coastline of 105kms. The notification, which paves way for destruction of eco-sensitive areas (ESA) in the guise of eco-tourism, infringement into no-development zones (NDZ) across coastal belts, filling up mangroves and haphazard development, green experts feel that the same might soon lead to a Kerala-flood like situation in Goa. Experts, NGOs and even prime political opponent Congress party feel the new rules are in sync with Central government’s flagship programs such as Sagarmala, which has over 400 projects identified across country related to port modernisation, new port development, port connectivity enhancement and port-linked industrialization. The new notification, does clearly speaks about allowing greater real estate and tourism development on the coast, but could come at a significant cost to the environment. “The new rules favour rampant development in the buffer zone area. It has opened up 105kms fragile coastal areas for the real estate and tourism sectors to expand and take over. These are government drafted guideline to facilitate projects rather than to protect the environment. It is clearly paving the way for destructive development. Like that of Kerala disaster, which was manmade, Government has planned similar disaster for the entire coastal belt,” renowned environmentalist Rajendra Kerkar reacted. The National Fish Workers Forum and other state NGOs working in protecting the environment had submitted several thousand representations to the Union Ministry for Environment and Forest (MoEF) and so also the Goa government opposing the draft notification released in April 2018. “During cyclone Ockhi, the sea water entered three-four kms along the shoreline causing destruction. The water entered into the shacks, which were along the shoreline. Sand dunes which protect the coast from seawater intrusion will be destroyed completely if temporary structures are allowed...We will oppose this notification tooth and nail and take to the streets to protest,” said Olencio Simoes, Vice Chairman of National Fishworker’s Forum (NFF). 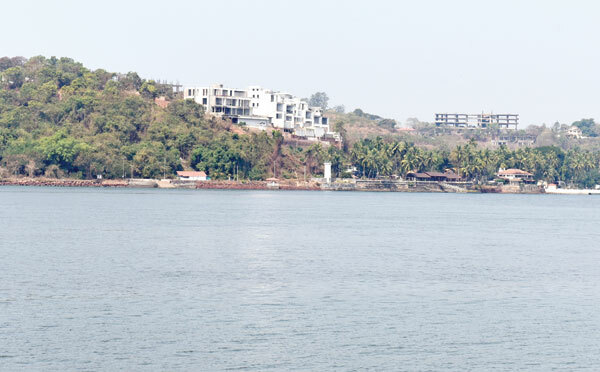 Simoes during a protest alleged the relaxations are being made to facilitate government’s Sagarmala project for inland waterways to drive industrial development. “This is a desperate attempt by the government to push Sagarmala plans. The new Rules will benefit private ports and big industrial lobby like Adani, Vedanta, Jindal, etc. It will only concretize the entire coastline of 7516.6kms and river line of 14,500kms” he said. The coastal habitats are already affected by the natural and growing human threats and with Global warming; the coastline is degrading even more. “The new Rules will future accelerate the erosion which means we will lose our coastline in just 10 years and small state like Goa will be completely affected as our economy which depends on tourism will crash,” Simoes added. The new CRZ 2019 notification does consider ESAs (Ecologically Sensitive Areas such as mangroves, dunes, marshes) as integral parts of our coastal landscape. However, Goa as special category is removed; ‘khazan’ lands are omitted; the entire exercise is commercial-oriented rather than ecology-based. Also, the new rules have made a complete mockery of the scientific importance and oceanographic validity of coastal buffer zones, an imperative prerequisite to maintain the role and natural functions of coastal systems. “The insolent decision to allow tourism related activities on sand dunes, which precisely fall in the NDZ, is shocking. These ESAs are bound to suffer irreversibly. The proposal to reduce NDZs to unwarranted 50m lacks purpose and validity,” former NIO scientist Dr Antonio Mascarenhas reacted. “If the suicidal CRZ 2019 is forcibly imposed, Goa can certainly expect a horrid, urbanised, linear shorefront, devoid of natural coastal heritage, with sandy beaches a scenery of yore,” he commented. Sandy beaches signify the ocean’s rest house. Coastal management implies a science based ecological approach in which the public is the ultimate beneficiary. On the contrary, the established concept of buffer zones is sought to be convicted, and aspects such as conservation and restoration of degraded coastal landscape is downplayed. Goa witnessed several protest opposing draft CRZ notification with representations being pouring in from experts, NGOs, political parties, fishing communities, etc. However, despite all, State Government gave its thumps up to the draft rules. Goans Against CRZ, an umbrella of citizen’s group, had led the protest across State. They are now planning to re-launch their agitation and if required contemplating to move Court for justice. The convener Kennedy Afonso said that it is not a small issue as it is going to affect every individual from Goa, directly or indirectly. “It is an attack on the traditional fishing communities, who have been living along the coastline for ages now and their livelihood has been dependent on coast. Now they will be displaced,” he stated. Afonso said that the political parties, irrespective of their difference, need to come out and support the fishermen in their fight for livelihood. He said that they will move court if needed. Centre for Responsible Tourism (CRT), a church backed Ngo has termed the notification as a “death knell to the coastal communities”. "The Coastal Regulation Zone notification is a planned erosion of the CRZ notification 2011. By reducing the CRZ area to a mere 50 meters from the hazard lines, it will create an environmental crisis and damage the fragile coastal ecology resulting in imminent floods. This notification does not protect the ecology and livelihood of the coastal inhabitants," CRT said in their statement issued. The statement also said that the notification permits activities like reclamation of land for commercial activities, interference with sand dunes, large scale recreation and drawing of ground water within the 200-500 metres from the high tide line, which is "detrimental to the coastal ecology and that will displace the local communities and affect the bio-diversity are granted positive approval. The willful dilution and reduction in the protection given to the environment is categorically permitted".